All faculty and staff are cordially invited to attend this basic training that will be facilitated by the Gay Alliance of the Genesee Valley. 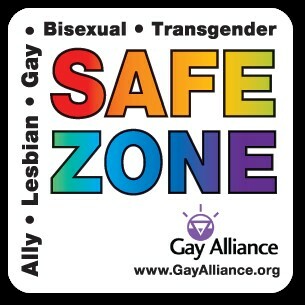 The Gay Alliance SafeZone program aims to increase the awareness, knowledge, and skills for individuals and address the challenges that exist when one wants to advocate for their LGBTQ peers, family members, friends, coworkers, and for themselves. This is a BYO lunch event. This event is open to all, and no RSVP is required. This program is a dynamic, interactive session that includes activities and discussion around: inclusive and respectful language, the process of coming out, understanding sexual and gender identity, taking action on our campuses and in our workplaces, where to go for help, and much more. This session will give participants the skills they need to provide support and to create environments that are safe, welcoming, and inclusive. Participants who attend both the basic training and advanced training will receive a SafeZone sticker.